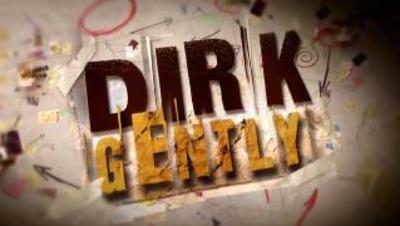 What do you think of Dirk Gently? The BBC TV series, Dirk Gently (2012), starring Stephen Mangan, is an adaptation of Douglas Adams' character from the books Dirk Gently's Holistic Detective Agency (1987) and The Long Dark Teatime of the Soul (1988). If you were a fan of the books, how do you think this adaptation compares? What do you think of Mangan's performance as Dirk? Series title card, Copywrite BBC, Fair use. Never heard of this show before. As a fan of the books, which were my favourite of Douglas Adams' work, I am pleased that they were finally made into a tv show. I don't think it fully captures the humour of Douglas' prose but it comes close. Also, I would watch it for Stephen Mangan's hair alone. What do you think of The Weekly with Charlie Pickering? Father Ted - Is it still funny 20 years on? How do you talk to your children about death? What are you reading in January 2016? Do you observe White Ribbon Day?